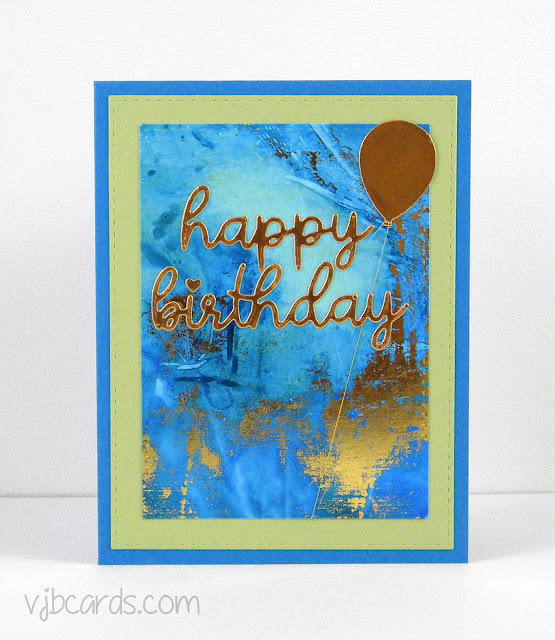 Today's card was kept simple to show off the beautiful background paper made with Alcohol inks and Gold Foil. A few weeks ago my friend Jan and I got together and played around with a technique using alcohol inks on Yupo paper and adding gold accents with gold foils. We did create some beautiful backgrounds. Each one was so unique. I haven't had a chance to turn any of them into cards yet but I will definitely share them in the future. This card uses a background Jan had made previously using the same technique. When I first saw it I thought it was so beautiful and really needed to be the focus of the card. 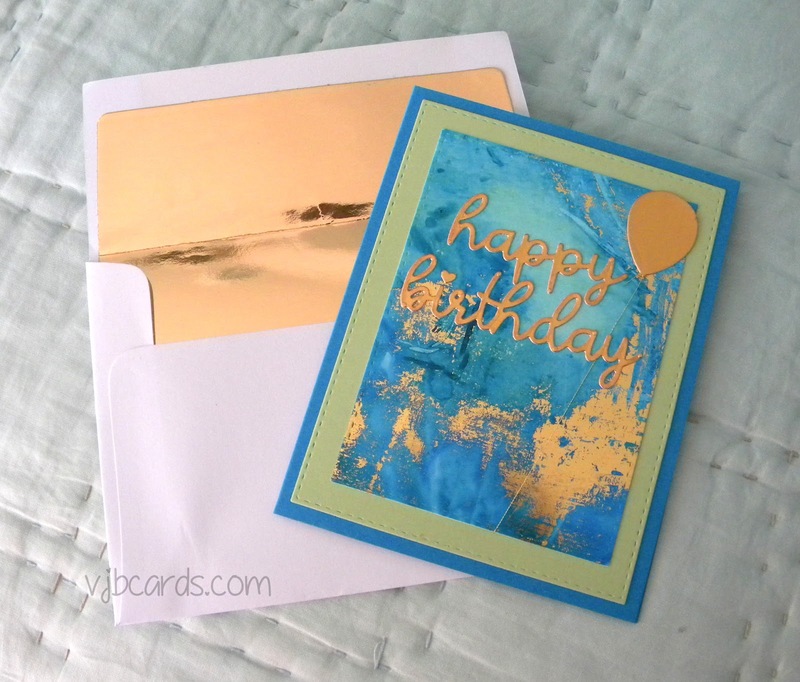 I added a happy birthday and balloon diecut from shiny gold metallic paper and a little gold thread and that was it. Simple, but I really liked it. In the second picture you can see a little more of the shine from the gold foil. It really is stunning in real life. I also used a PaperTrey Ink envelope liner die to add coordinating gold to the inside of my envelope. I really, really LOVE this envelope liner die and think all of my cards will now have lined envelopes.